As I made it to Elowah Falls in the Columbia River Gorge, one of the first things that stood out to me was the beautiful sound of the water from the falls softly landing on the rocks below. It was soft as there was a slight breeze and a very long fall for the water which separated it all allowing it to fall softly rather than in one dense space. I got as close as I could to the falls to capture this shot. I did my gear quite wet and after each capture I would have to wipe water from the lens. Every time I look at this shot I can hear that water again. 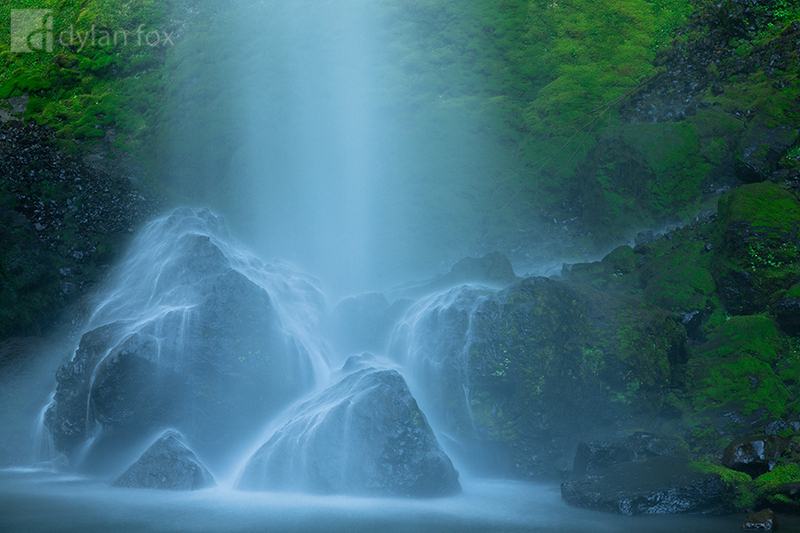 Secure your limited edition, Elowah Falls photographic print, 'Sounds That Soothe', by selecting your desired print size in the menu to the right.